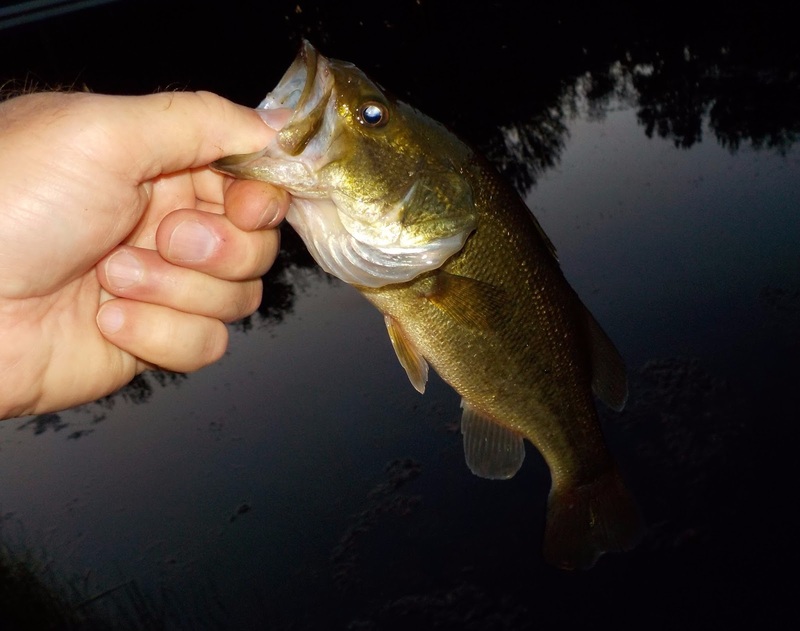 A few hours on a Friday evening, calm winds and mild sun.....equals prime topwater. Only a handful of gills on the night, but the bass turned on as the sun went down. All-n-all a nice way to end the week. 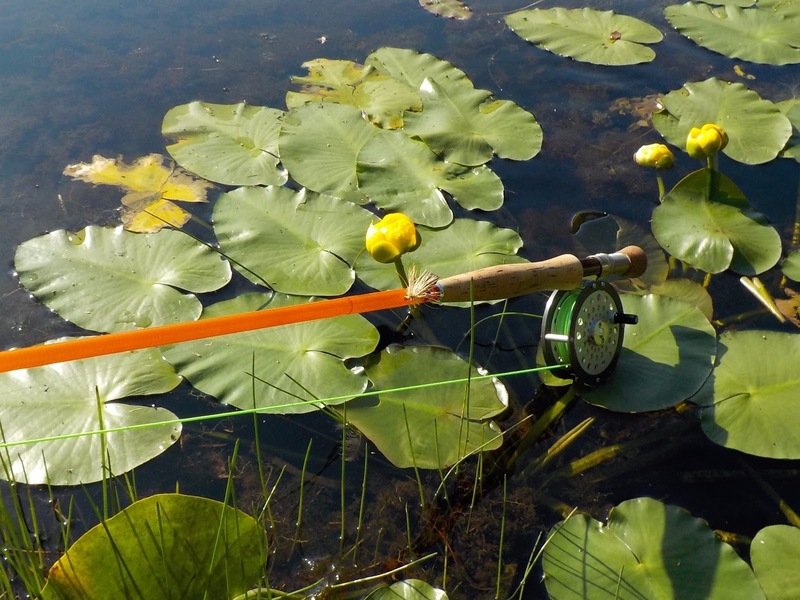 Good luck to all on the water as the leaves begin to change. With a rare morning which left both of us available and a stream to drive past on the way home, we jumped at the opportunity to hit some water and get my oldest daughters feet wet for trout on the fly rod. Unfortunately for us the previous 2 days of rain had the Tulpehocken high and dirty. Hunting for a normally shallow gravel bottomed section, we found the only place along the flooded banks that would allow access with casting room. Either way, casting and line management was our goal and we were able to get that in. 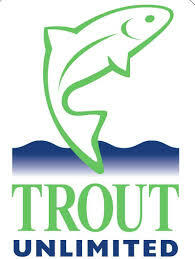 But unfortunately for her the first fly rod trout didn't make the books. 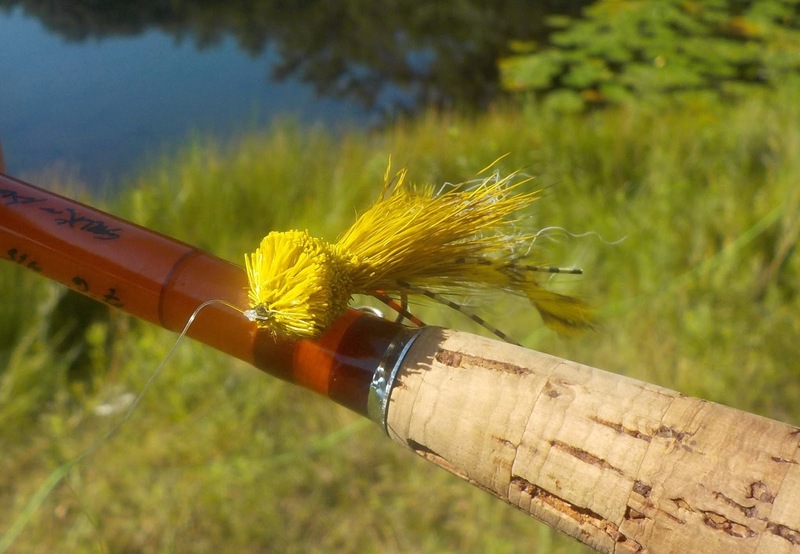 It was however the christening water of a new Cane and Silk 7 1/2' glass rod as well. 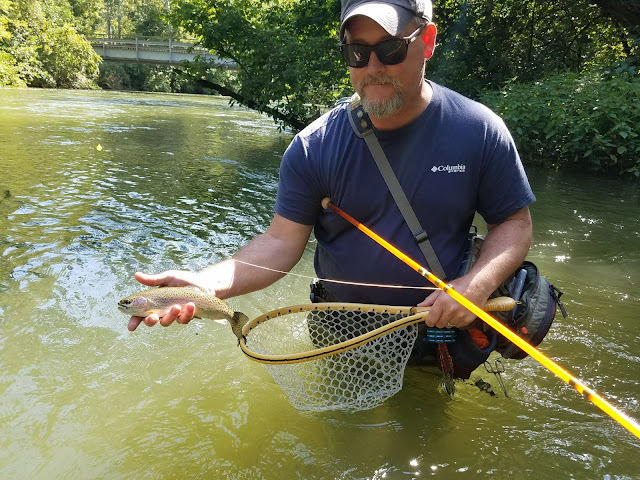 Eventually I was able to dredge up one muddy-water trout on the morning. The little rainbow took a #10 Coyote Ugly nymph. The Cane and Silk was perfect. 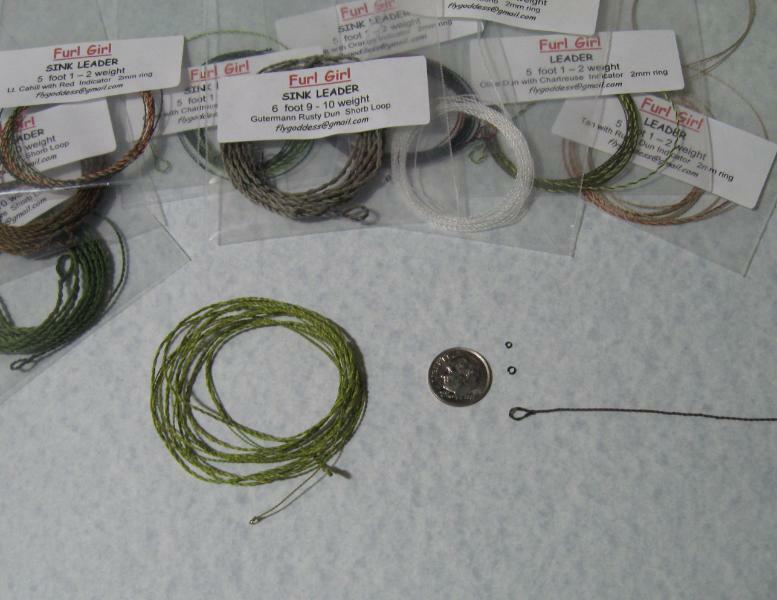 Just quick enough to toss a light indicator/nymph rig, and a dream to cast with a Cortland 444 Peach DT4F line. The build?......flawless. What can I say? 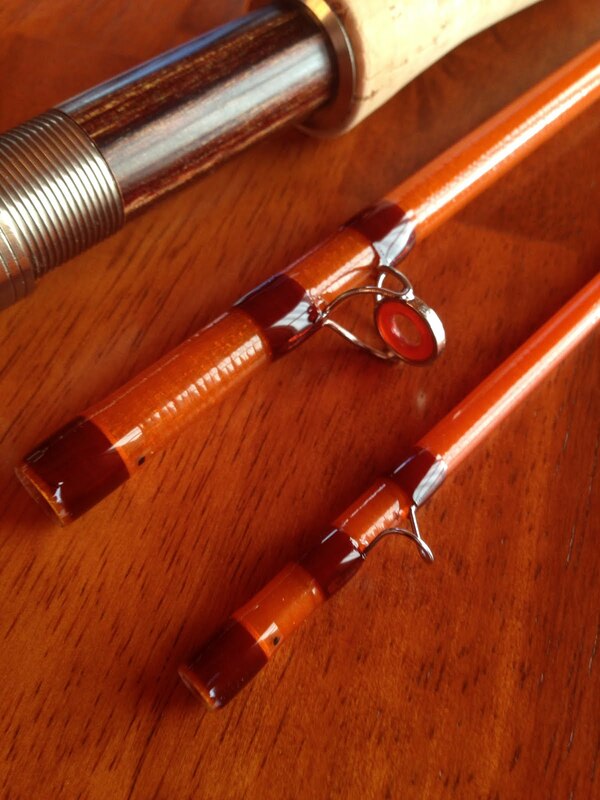 Mike Kattner is a joy to work with and builds a wonderful glass fly rod. 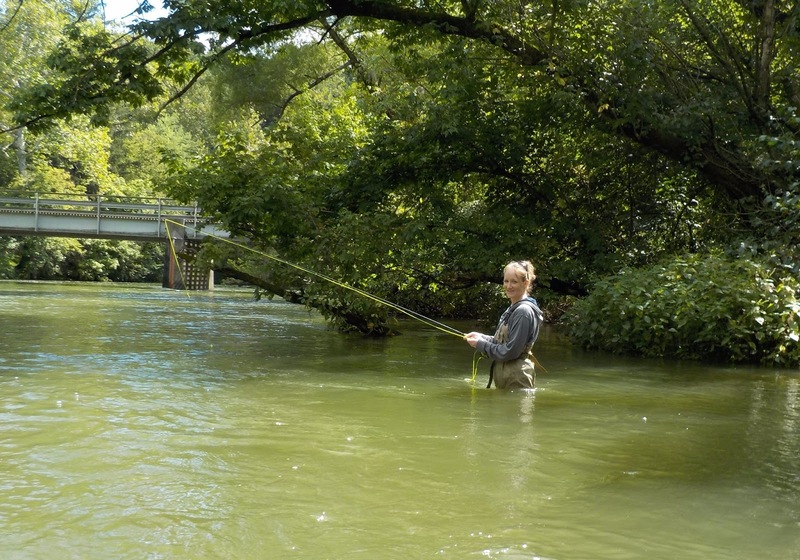 The takeaway from the day was a wonderful time fishing side-by-side with my daughter, punctuated but not defined by the single muddy-water trout that was brought to hand. This morning a took a few hours at a local pond with hopes of capturing the last colors of Summer. On queue, the temps have begun dropping and our yard barometer Fig tree gave us a tip of the hat by providing us with the last of the fruit. Autumn is closing fast. 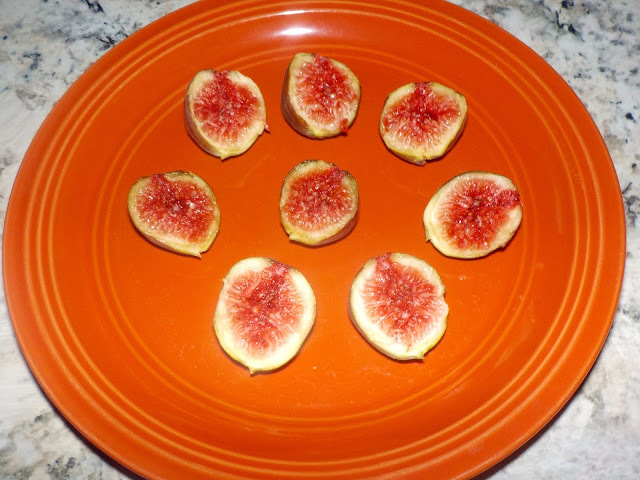 Fresh Figs from the last of the remaining on the tree. Seems to be about 2 weeks earlier than normal? Soon those brightly colored poppers on top will switch to streamers and nymphs. 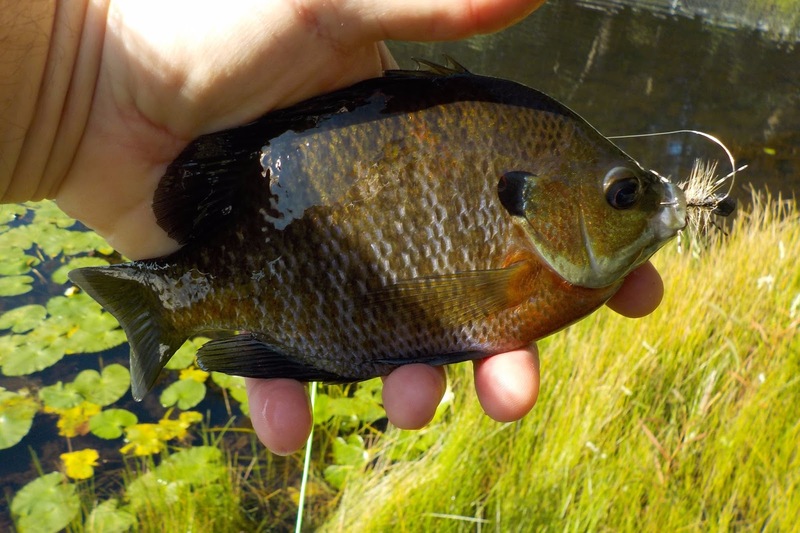 While the bass were on a hiatus this morning, the water was filled with eager average-sized gills as if they knew as well, the coming change. An enjoyable morning, while in the back of my mind I tried to paint the picture to carry me through once the top-water seasons wraps itself up.